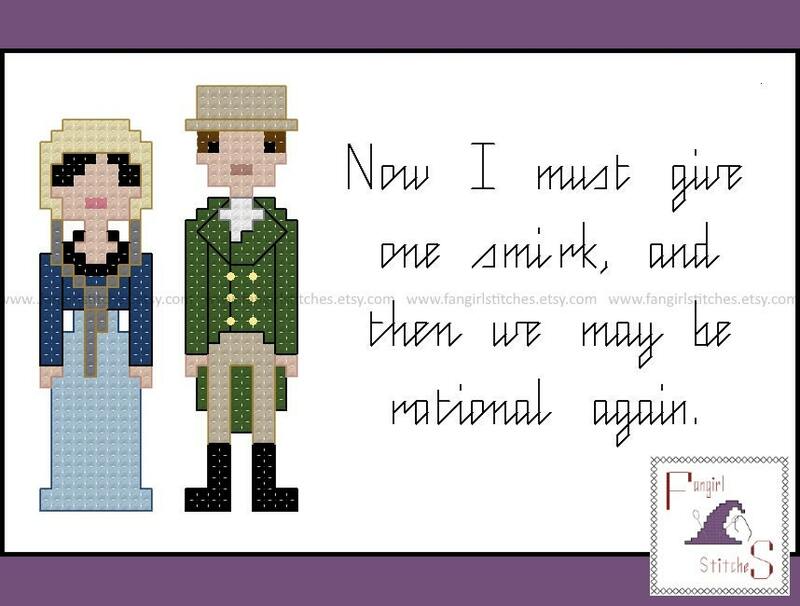 This cross stitch pattern features the main characters from Jane Austen's Northanger Abbey, Miss Catherine Morland and Mr Henry Tilney. 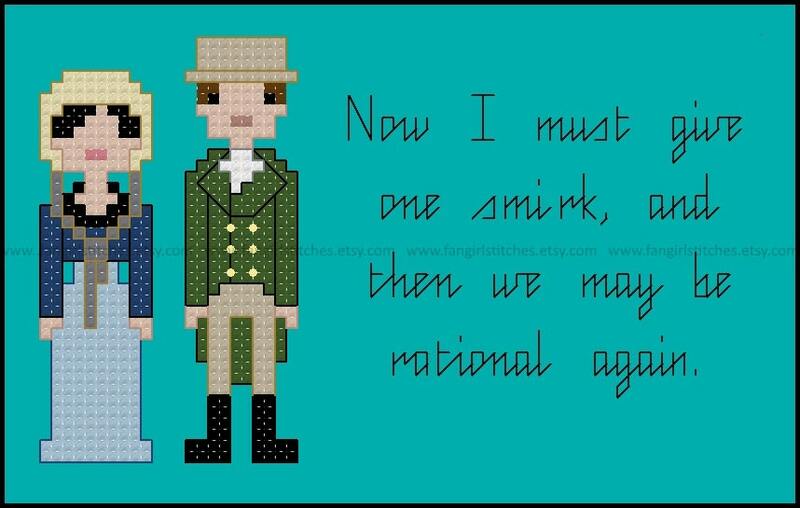 As there was no clear proposal quote in the book, this pattern features one of my favourite quotes from Mr Tilney. Great pattern for my favorite Jane Austen romance! 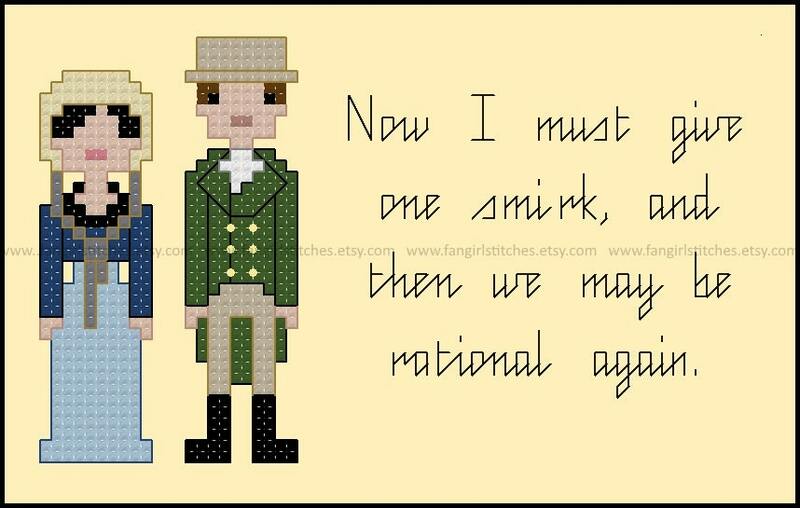 Download was promptly available and exactly as described.